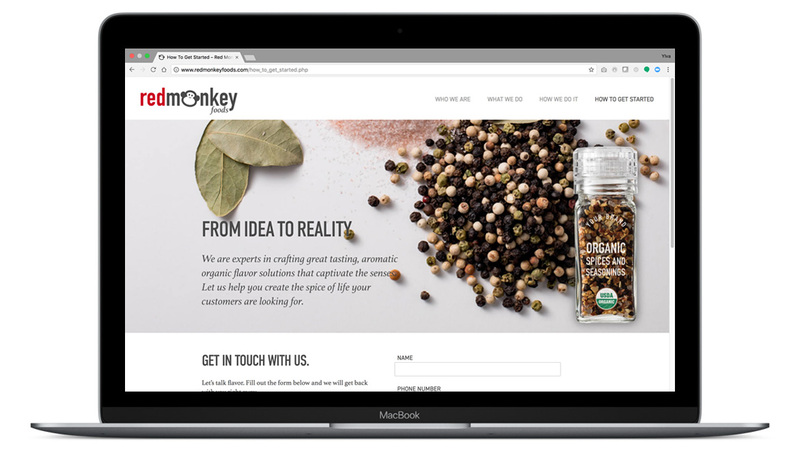 Red Monkey Foods are purveyors of premium organic own brand spices and seasonings. 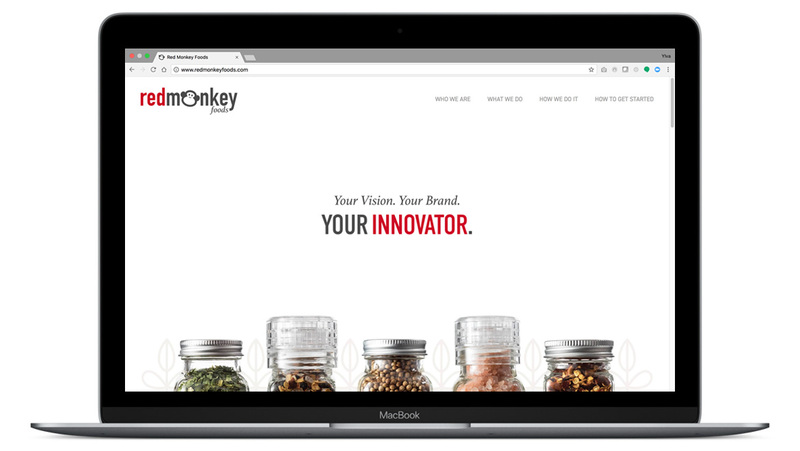 They innovate with flavor and packaging while specializing in spices, seasonings, grains and value-add dry products. 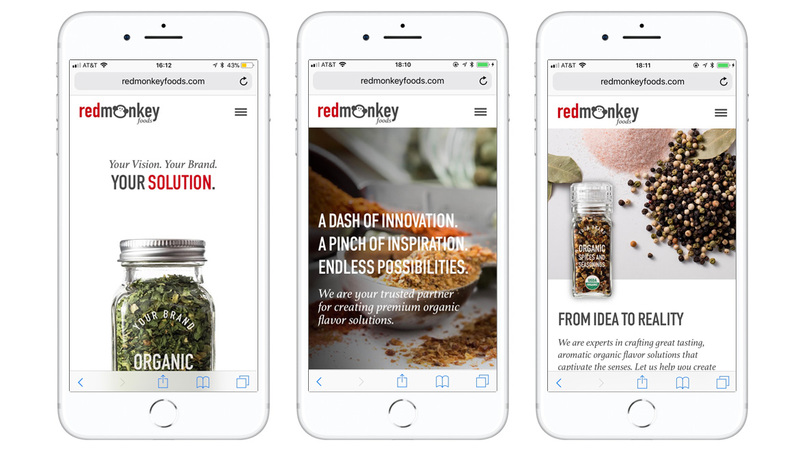 Red Monkey Foods wanted a bold new website, with a very clean look and feel, and entirely new content and messaging. 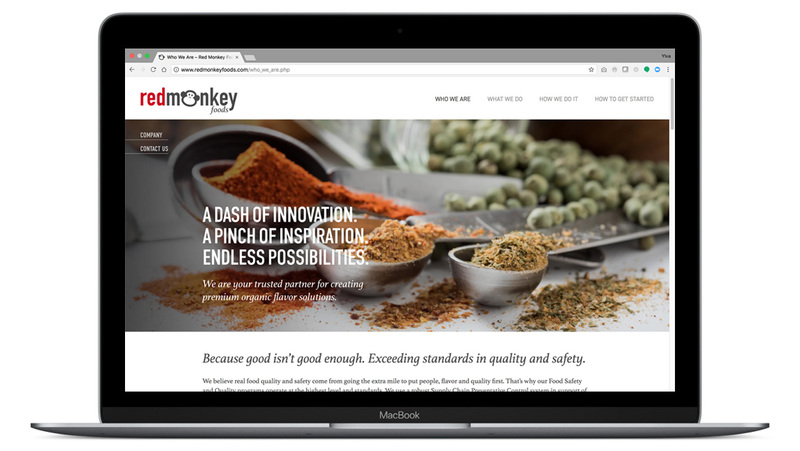 We created a responsive website, along with a new brand, to convey legitimacy and to solidify the company as a trusted supplier of premium organic products to the largest retailers in the country. 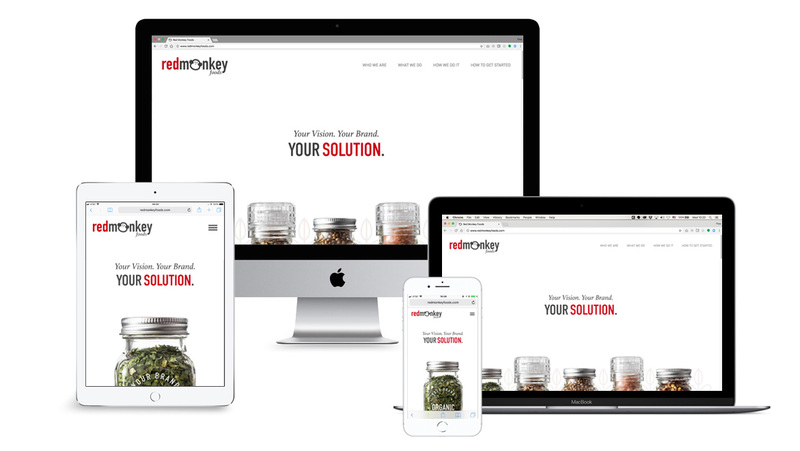 We were fortunate to have been able to utilize the services of Ylva to design a clean, clear and very effective identity and website that has improved our business development. 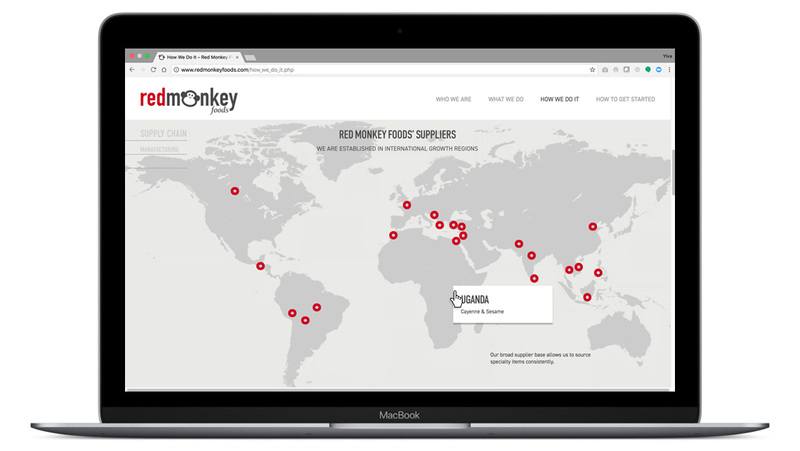 Ylva worked hard to make the project smooth and easy for Red Monkey Foods while staying on our tight timeline and budget.